Disponibilidad: Only 7 left in stock - order soon. 50+ sounds, songs, tunes & phrases that teach healthy habits! 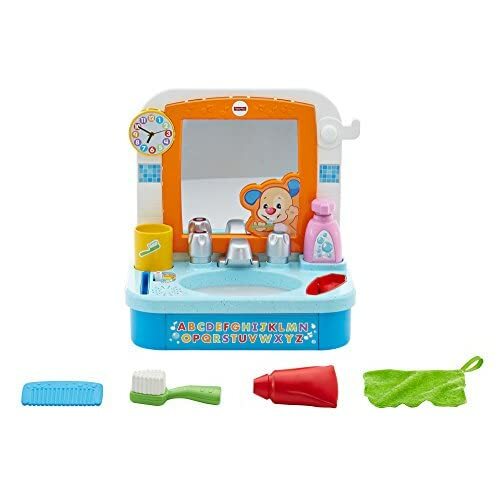 Let’s get ready for the day … with a fun toddler play sink to inspire role play! 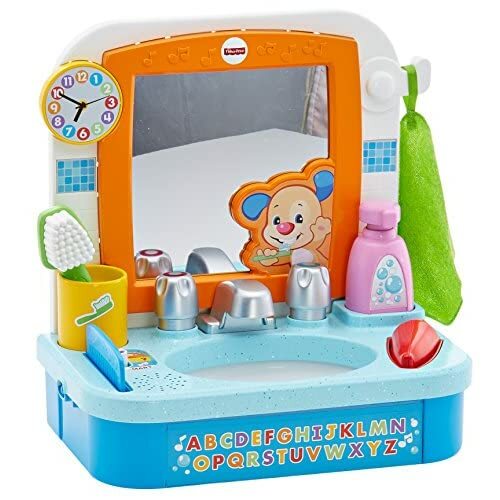 Turn the sink knobs, pump the soap bottle, or remove the toothbrush, toothpaste and comb to hear songs and phrases that teach toddlers about daily routines, familiar objects, colors, letters and more. 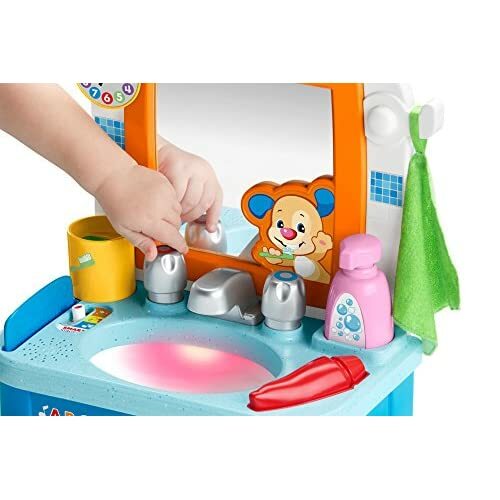 The sink bowl lights up too, when toddlers turn the red and blue sink knobs. 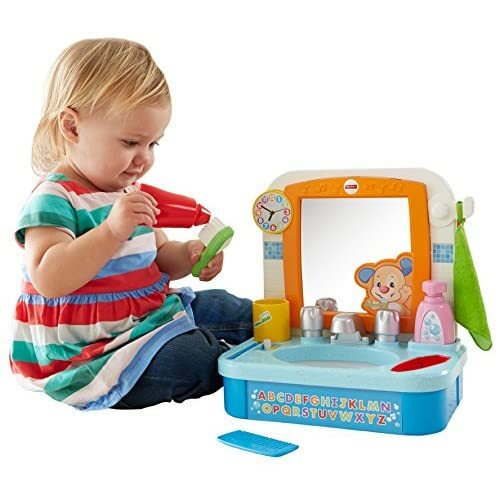 Curious toddlers will love peeking into the shiny mirror. And a removable, soft washcloth adds to the realistic, good, clean fun! Every toddler learns & plays in different ways. Smart Stages technology lets you select the stage that’s best for your child on any given day! 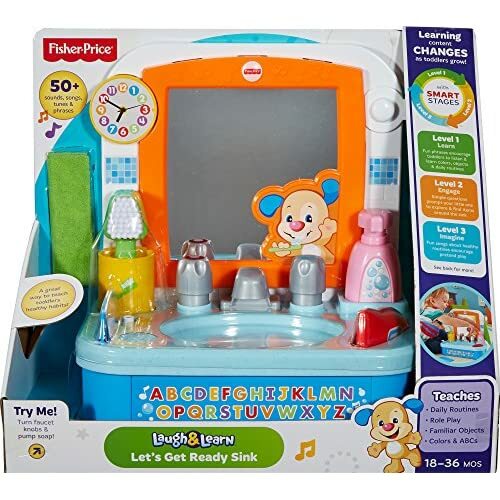 Switch up the level to switch up the learning fun, and offer up a different variety of phrases, songs & sounds for your little one! Smart Stages Technology Level 1 - Learn. Fun phrases teach colors, objects & daily routines. Level 2 - Engage. 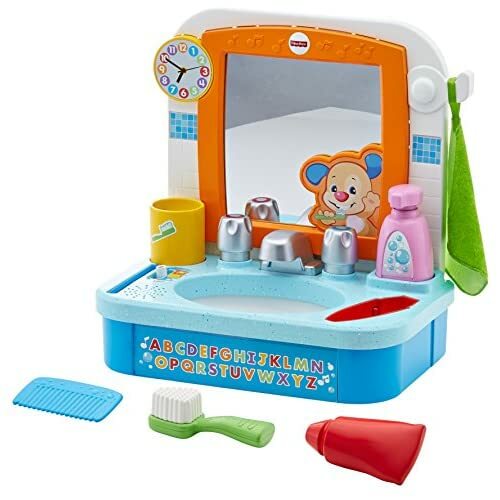 Simple questions prompt your little one to find items around the sink. Level 3 - Imagine. Fun songs about healthy routines encourage early role play.